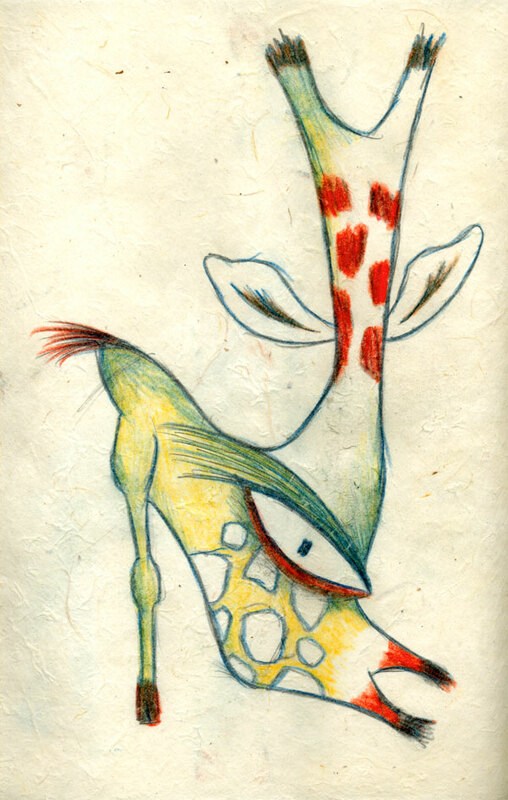 Once upon a time there was a fairly tall giraffe named Carla. One day she ordered a pizza from World Pizza in Seattle, Washington. When the box was handed to her, there was a really cool drawing on it. 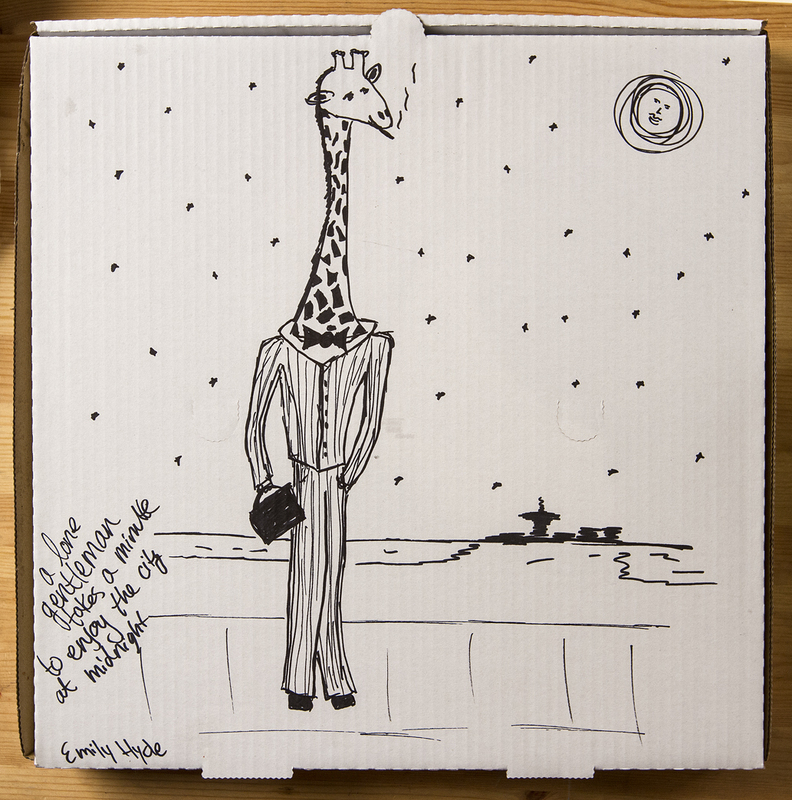 The next week Carla the Giraffe ordered another pizza. 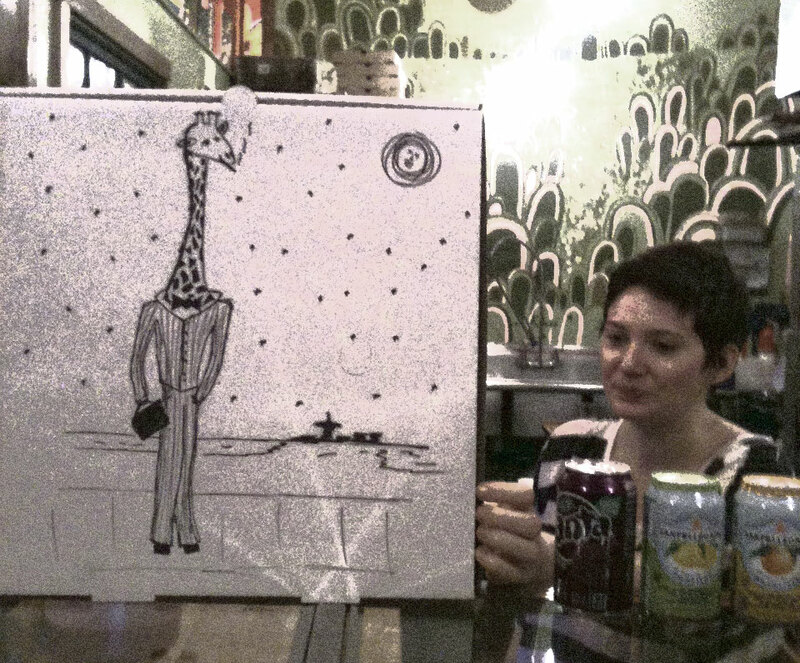 She asked the girl (whose name turned out to be Emily) to draw her a giraffe. 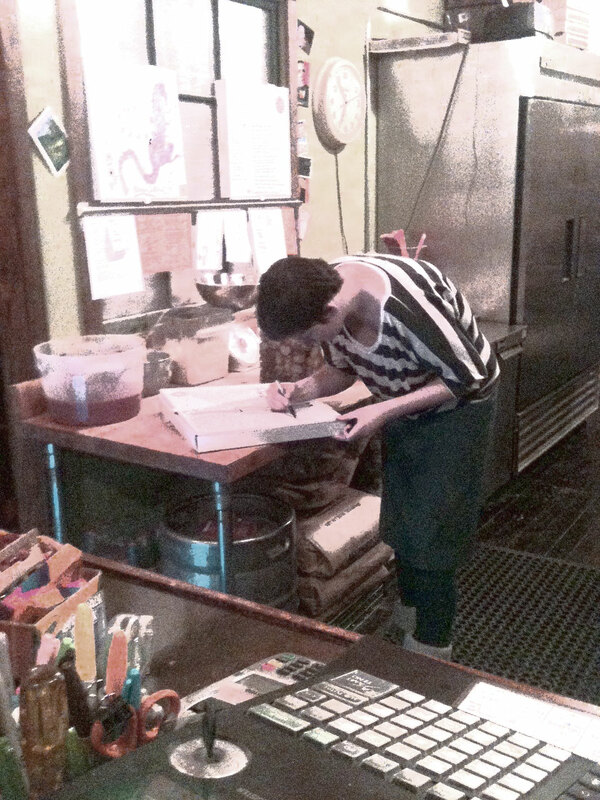 And thank you, World Pizza, for being a cool place to eat and draw! • Sometimes it’s best to keep your mouth shut, so your foot doesn’t fly in and kick you on the roof of your mouth. This thought crossed my mind today AFTER I had made a comment to the art gallery lady about a certain show (the work, by the way, I loved, but whatever I said came out kind of wrong because it was met with a tight, “Looking at art is subjective.”) I gave a mumbled apology and fled, but now feel completely stupid; this is a gallery that is near my office and I go in often, and had even hoped to strike a friendship with this woman. 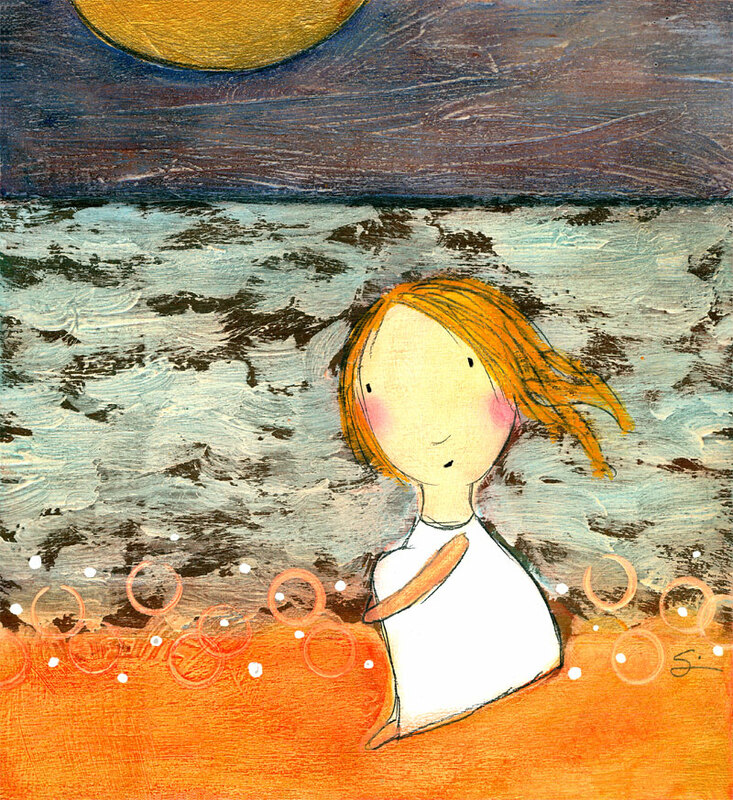 • Someone ordered the above “Redhead at the Beach” print recently and I remembered how much I liked this particular one. I think I did it in 2005, when I was just beginning the Girls series that really helped solidify my art-making “career.” Around 2009 I moved on to other things, but the girls still pop up every once in awhile (kind of thinking they’ll be in a children’s book before it’s all over). It’s helpful for me to think of it this way, that the DOING of the art is the most valuable part, just as the actual talking part of a conversation is the most valuable. These two drawings are “testers” when I was working on this lesson in the DRAW! workshop (it’s also Lab 42 in Drawing Lab). I had so much fun doing these, and it got me all pumped up to do a series. It’s hard to believe January is almost over already. It’s been a super busy month for me, but I think that’s how I like it. 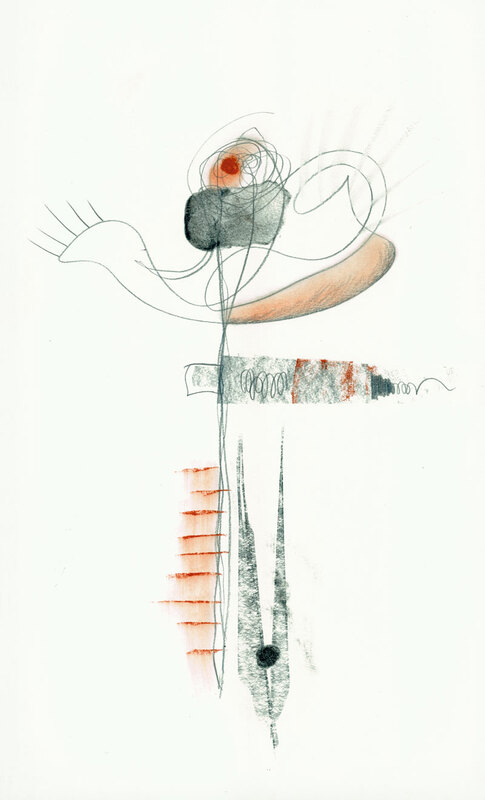 Pencil, watercolor, gesso on paper, with digital enhancing. I think I have about 100 small, unfinished drawings/watercolors in a pile on my art table. Most get abandoned because I get stuck and don’t know what to do next. I set them aside, hoping that if I revisit them later with fresh eyes, I can save them. I’m not so very sure about that. It’s happened only a couple of times. I think the revisits don’t often work because there is something fundamentally “wrong” with them that causes me to lose interest part-way through in the first place. What to do with all of these failed/in-process/potential pieces? I’m not sure. I can’t seem to get rid of them, though! 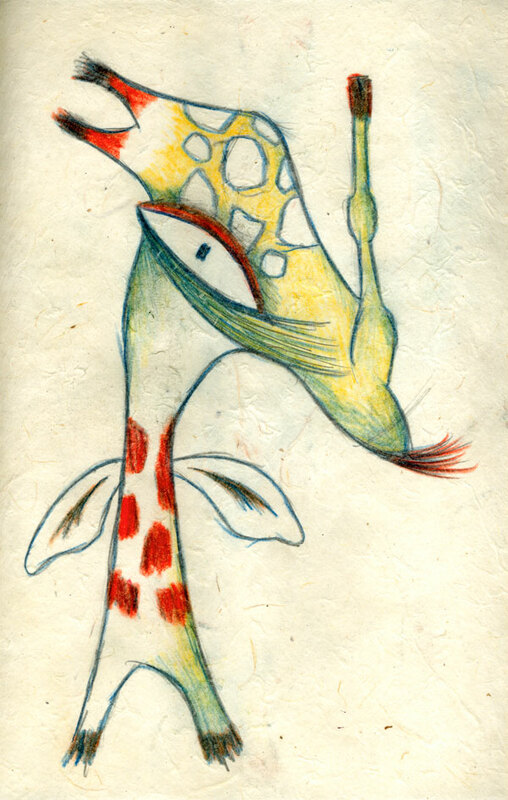 “Picasso Giraffe,” colored pencil on handmade paper. I’m having so much fun with both classes! Hope you all are great. Hi! I’m repeating three of my favorite online classes in February and March. There are two one-week sessions, and one five-week session. I hope you can join us! 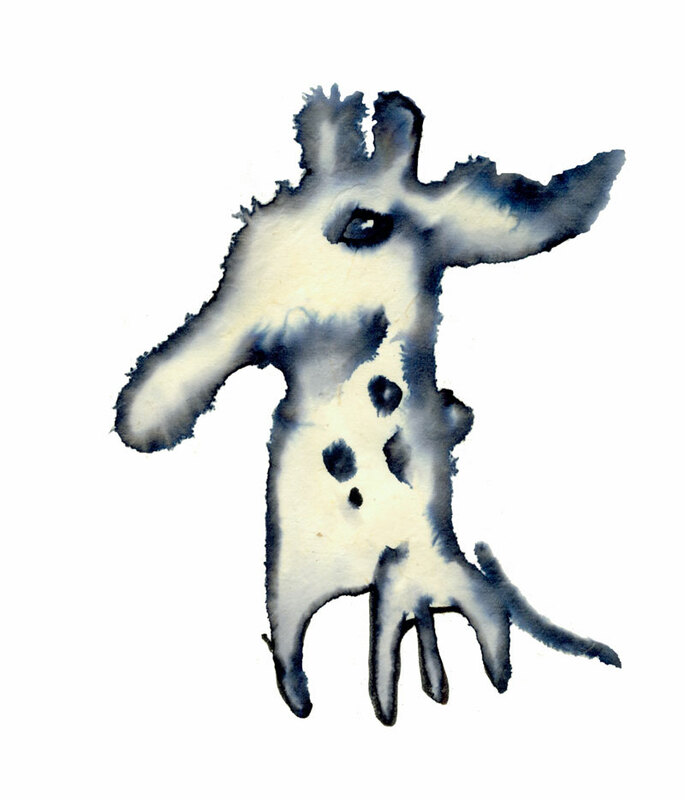 Find and create your own zoo of imaginary creatures from random watercolor marks, blobs of paint, sidewalk cracks, peeling paint and more. But mixed in with this nonsense is a healthy dose of “real” drawing exercises and lessons to help you imbue personality and life into your imaginary animals. 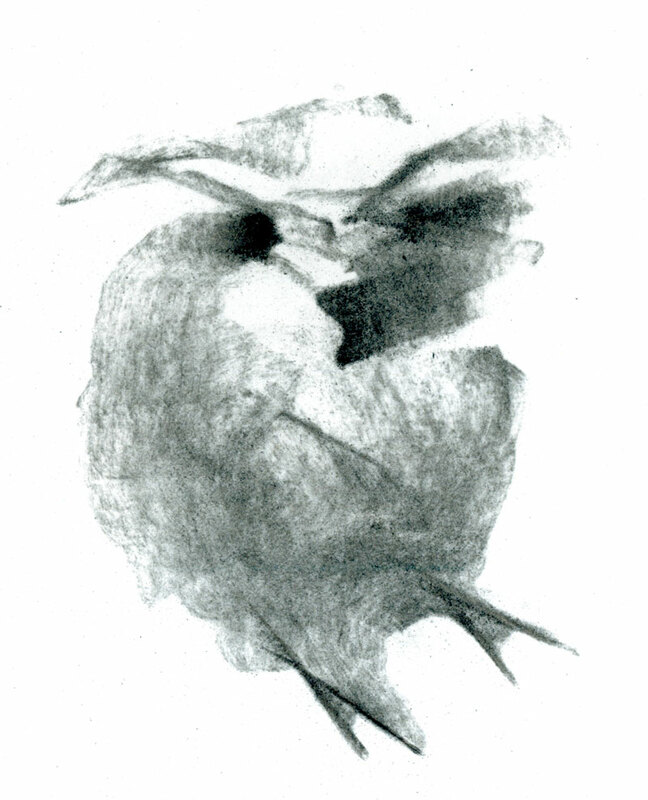 We will draw from life, from photos, and from our imaginations. 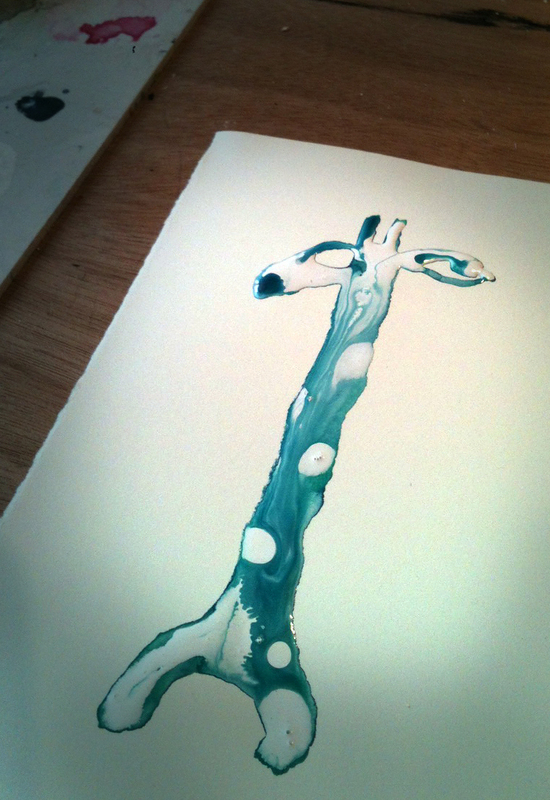 Then you’ll learn my no-fail watercolor tricks to create a series of your own imaginary creatures on paper. 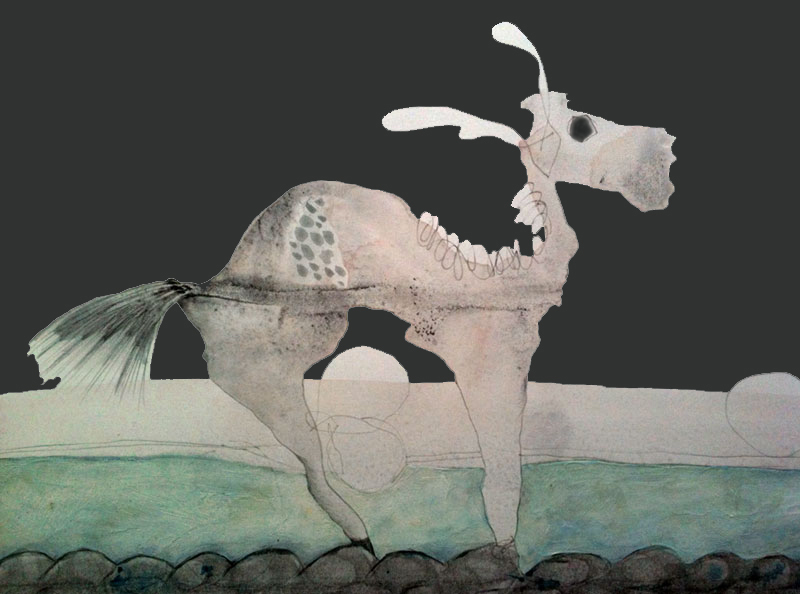 You’ll put the finishing touches on with pen, ink, pencil, gesso, charcoal, marker, collage, or whatever else the piece “needs.” We’ll also cover line quality, shading & dimension, and composition. 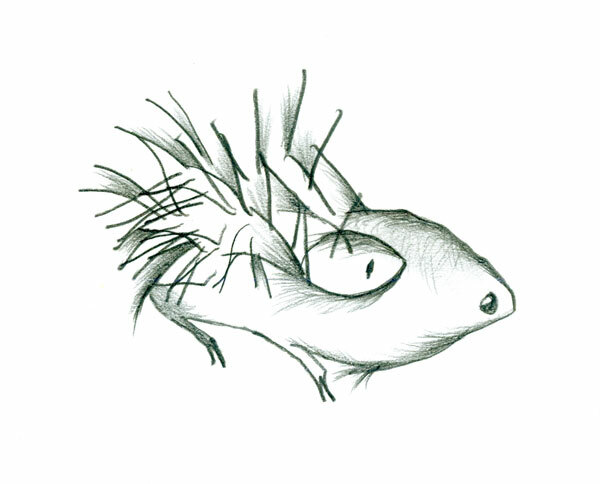 In this fast-paced class we will focus solely on drawing and painting the human face. We will work through dozens of different assignments that allow you to approach your subjects fast, slow, messily, neatly, realistically, abstractly — all to help ferret out your own unique and personal style. We will draw from live models, from photos, and our imaginations. 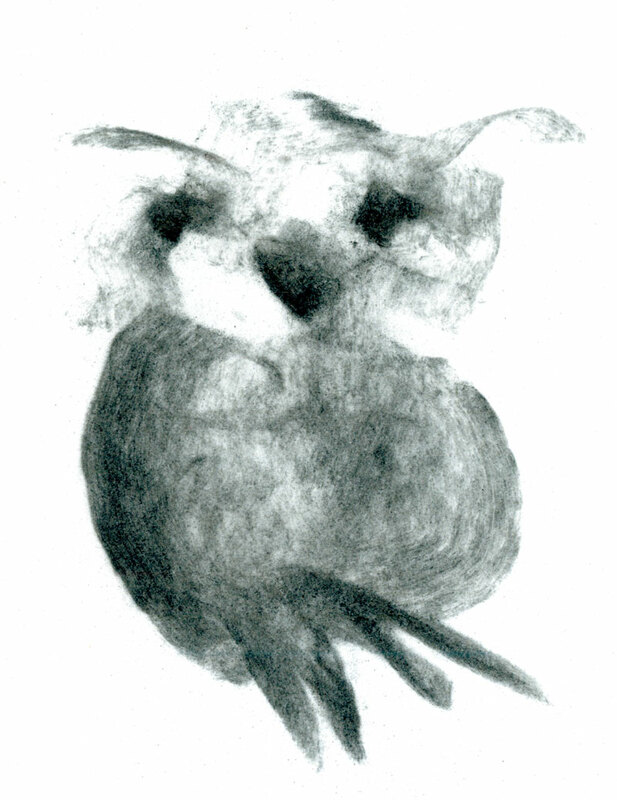 We’ll use ink, watercolor, pencil, ballpoint pen, charcoal, pastels and more. End goal: You don’t want to draw faces like me or anyone else — you want to draw like YOU! It’s cold and rainy in my neck of the woods, but NOT here inside my studio! If you want to take Spring into your own hands with gesso, watercolor, and a healthy dose of flower fun, join me for an extended five-week long play time — set to finish just when the REAL flowers start to come in! This painting class (which will also include both drawing and collage assignments) builds week-by-week, so that by the end you can take your new-found tips, tricks, and flower love to your journals, paintings, altered books, and even your furniture, if you like! Q: What about: color? shape? size? surface to paint on? time to paint? time to dedicate to painting? creating? blogging? family? HOW CAN YOU MANAGE EVERYTHING!?!?!?? I have a “dull” color palette; bright colors scare me! But I tend to like aged or worn fabrics better than new ones, and dried up flowers after they’ve died at least as much as when they are in full bloom. I don’t really wear bright clothes… I just try to paint in colors I like! Shape? Size? Surface to paint on? I tend to work small. 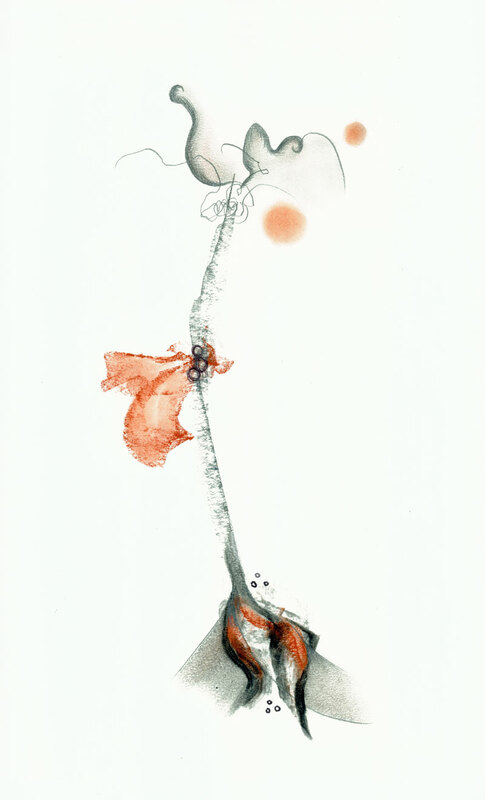 Most drawings or watercolors are about 5″x7″. I like working in the square format as well and always have a 5.5″x5.5″ hand•book sketchbook in my purse for pencil and ink work, mostly. For watercoloring, collage, etc., my go-to paper is Fabriano Artistico #140 hot press, traditional white. Time to Paint? Time to dedicate to painting? Then, at the end of the day, when I’m “done” with computer-y things, I might take a half hour or so to finish what I started during the day. If I want to work larger, I need to dedicate an afternoon to it, and that usually happens on odd weekends here and there. When I first started blogging in 2006, it was difficult to post regularly; I just didn’t know what to say! After about six months or so, though, it became a habit and something I “need” to do if I have missed more than a few days. I love my family! Besides work (which includes drawing and painting), I spend most of the rest of my time with family. My youngest son is 17 and graduating from high school this year, and my oldest son, his wife, and young son live nearby as well, so I spend as much time there as I can (Liam, 16 months, is SO CUTE!). HOW CAN YOU MANAGE EVERYTHING!?!?!?? Barely! Since I spend most of my time at work or with family, lots of things don’t get done very well — paperwork, housework, reading — these things suffer a lot. For example, the trash only gets put out to the curb an average of 2 out of 4 times a month! So the answer is, I don’t really! But it’s okay. “Spotty,” Tombow marker on handmade paper, then outlined on computer.